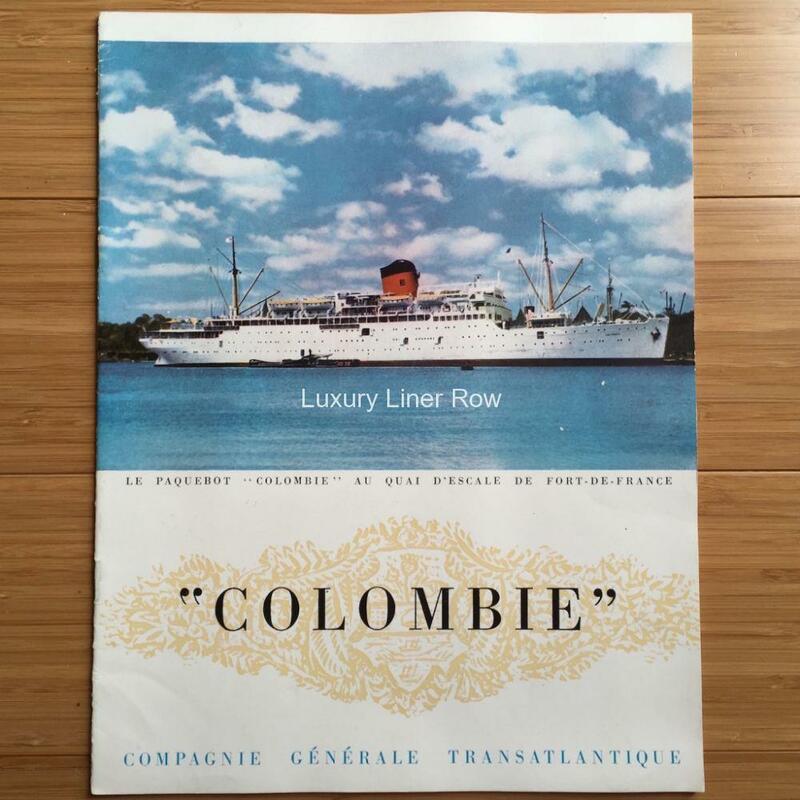 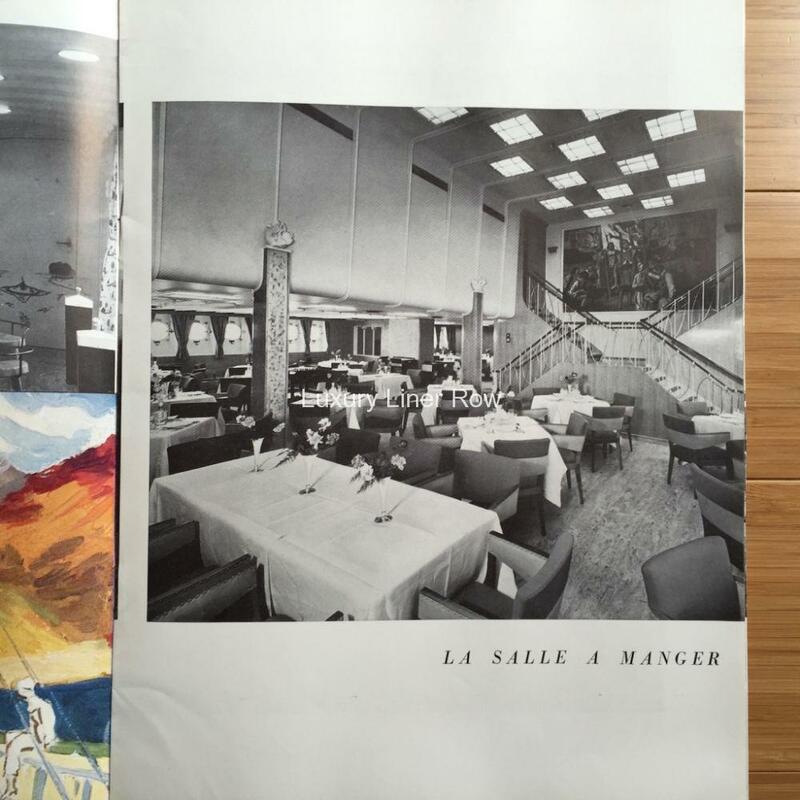 Nice photo brochure for a French liner we see very little for. The brochure runs 20 pages and contains 23 wonderful interior photos of all three classes. 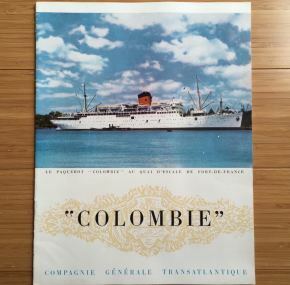 It is in great condition, and the text in French.